Gone are the days when great performance was only a preserve of high-end elliptical trainers. For a fraction of their cost, you can still run into an elliptical trainer offering a performance similar to theirs. One good example is the ProForm Endurance 520E. 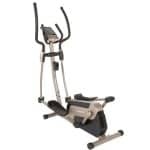 Presence of numerous workout apps and the capacity to incline are some of the features you only see in high priced elliptical trainers. Interesting to note is that ProForm Endurance 520E also packs similar features despite being a mid-tier elliptical. You will agree that price and performance matter a lot when it comes to finding the ideal trainer and looking at this machine, these two factors blend in so well. So let’s have a closer look to see what else to expect from this machine. Models under the ProForm brand hardly disappoint and as we can see the ProForm Endurance 520E is not an exception. 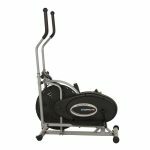 If what attracts you most to an elliptical trainer is performance and price, then you will find peace of mind in this machine. Keep in mind that it's strong, stable and so durable, which are all factors that any trainer would like to consider. Any user will also find it easy to ride on this machine. 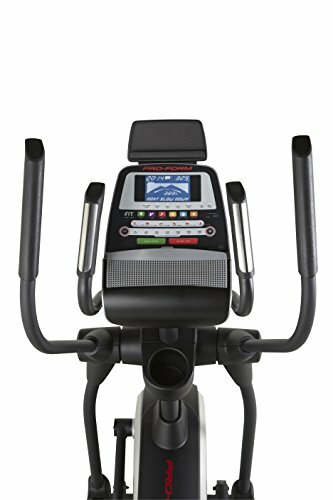 So if you are looking for ways to start off your training mission with a bang, then head over to Amazon and look this machine up. When it was designed, its creators intended it for home use but it’s interesting to note that ProForm Endurance 520E still fits all the requirements of a gym-class fitness machine. Enough proof of this is in its slew of features, workout options, cutting-edge design, and quality training capacities. ProForm Endurance 520E makes use of the Silent Magnetic Resistance technology which features an eddy brake system. It’s actually a tension system of its kind. To adjust the said tension, you will need to have the console powered. When it comes to variety, this machine leaves nothing to chance with its staggering 18 levels of resistance. 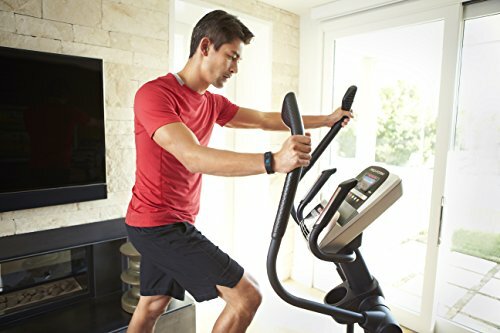 Everything you need to switch between these resistance levels is on the console, implying that you won’t need to halt your workout if you want to adjust the resistance. If you are looking for a smoother and quiet motion, this machine has it. All those resistance levels will also offer you enough workout challenges. 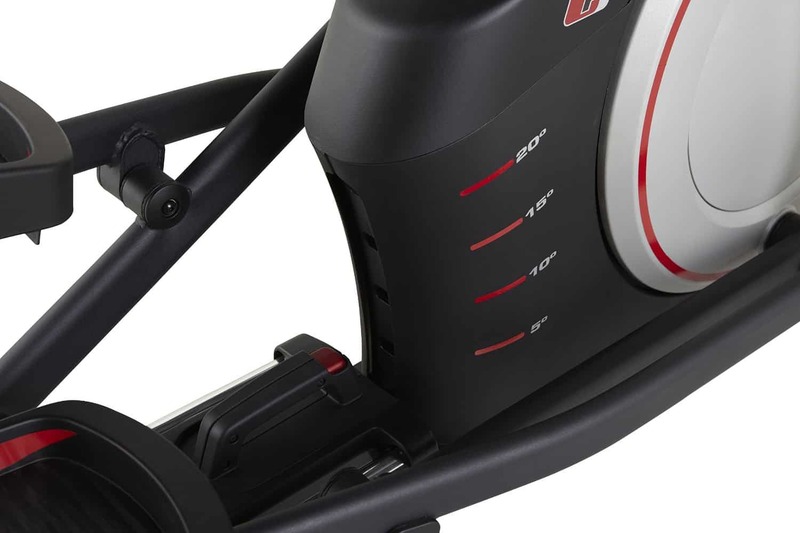 Part of this machine’s drive system also includes an inertia-enhanced flywheel weighing 6.8 kg (15lbs) and a heavy-duty v-belt that add support in ensuring a steady and smooth workout. As for the incline, this machine comes equipped with a manually adjustable incline set at 20 degrees. However, this could have been better if it was made automatic so to ensure to ensure a consistent workout. It’s easy to conclude that this machine’s console is overly tasked. But that’s far from the truth. Being a high-performance console, multitasking is just but part of its many roles. The console comes installed with 18 workout programs that you can customize to suit your needs. Something else you will love about this machine’s console is the “My Trail’ tab. It’s a function that helps you to keep track of your workout, particularly how many laps you’ve completed. It’s a cool function because it features a track representing 400 m (1/4 mile). To ease movement, the machine was equipped with a transportation handlebar, transportation wheels, and leveling feet all strategically placed to ensure you have an easy time moving the machine around. 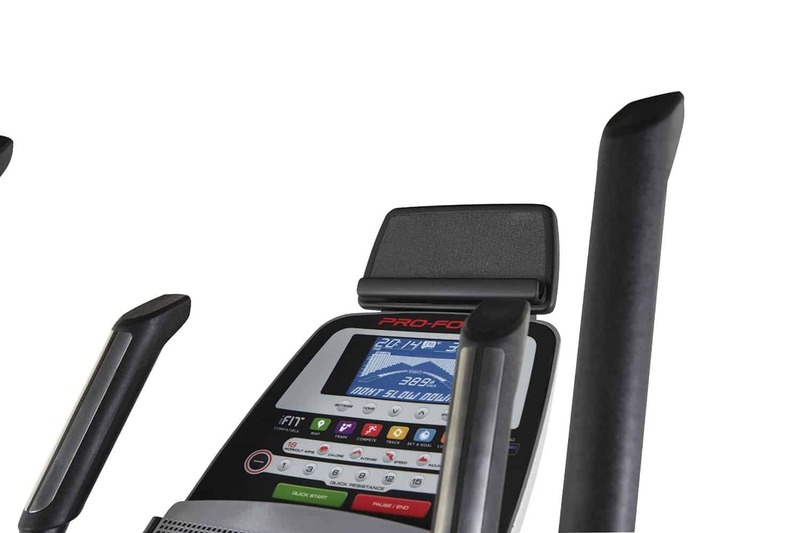 Like many high-end ellipticals, ProForm 520E also packs both mobile and fixed handlebars. Even though you can’t adjust them, you will enjoy their angled padding and a curved design that ensure you have a firm grip. 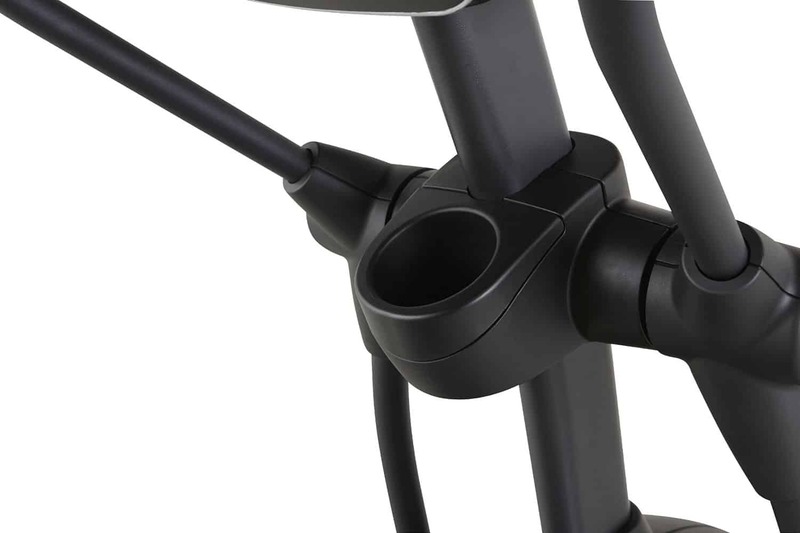 You can record your pulse rate by making use of the fixed handlebars fitted with heart rate sensors. Footplates belonging to this machine have a large size that is enough to fit users with feet of all sizes and shapes. 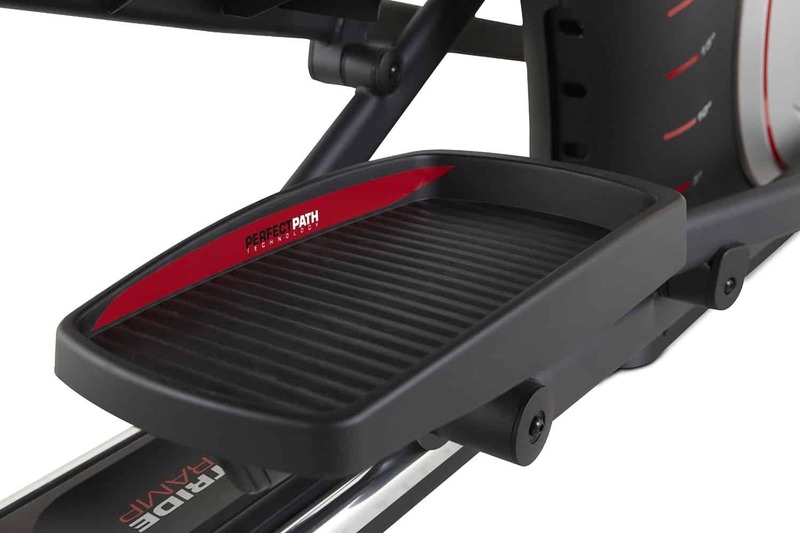 With their ribbed design, your feet will be held in place so well and you will have a great time riding on this machine. As we saw earlier, you also have a chance to various workout options, thanks to the many resistance levels. It’s easy to find what makes you comfortable by alternating between the levels. Putting this machine together comes with its share of challenges. Due to its sophistication, it might take you up to 2 hours to have it up and ready. Keep in mind that the machine is quite heavy and so you might need the help of one or two other people to assist you to screw some parts together. As for weight capacity, this machine can take up to 300lbs. Remember that it’s made of commercial-gauge steel which implies that it can take hard punishment. ProForm Endurance 520E, Schwinn 470 and Nautilus E614 are all kings of the jungle. 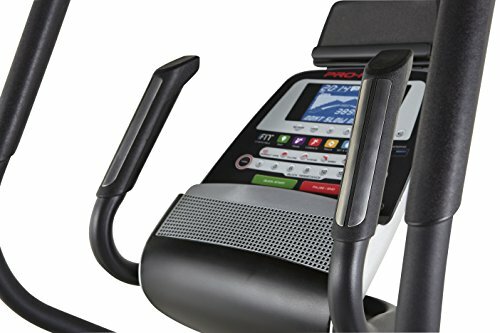 Looking at the price, the difference between Schwinn 470 and ProForm 520E is only a few hundred dollars. 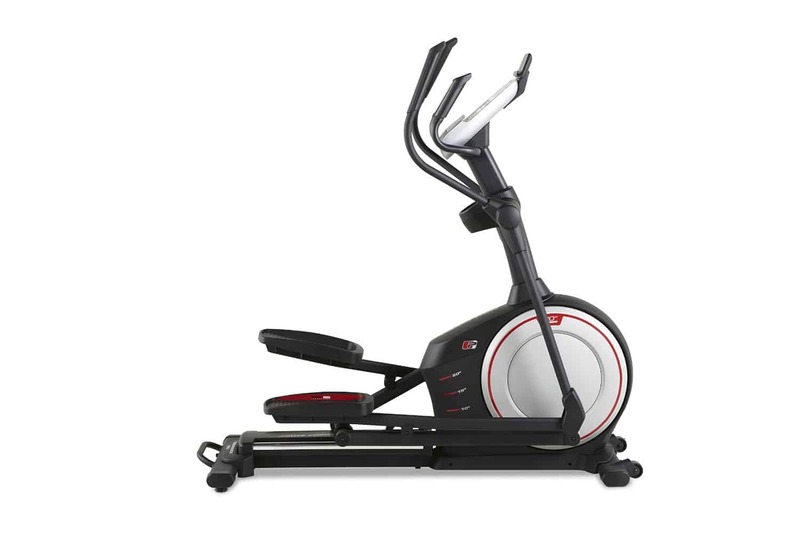 What sets Schwinn 470 apart from ProForm is the many workout programs and levels of resistance, which perhaps explains for its higher price. Meanwhile, rest of the options look similar and so a user will be tone between the two based on the level of diversity they like with an elliptical machine. Nautilus E614 is nowhere far when it comes to pricing- only a few hundred dollars apart. However, what sets it apart from ProForm 520E is the slightly high workout programs, resistance levels and incline positions. Rest of the features look almost similar. In deciding which one to choose between the two, one will mainly be driven by price.